Let me get this out of the way first: No. No, I'm not pregnant. No, I have no plans on being pregnant. These just happen to be cute clothes that can be worn with or without a bump! When I was pregnant, I had a hard time finding maternity clothes that I wanted to wear. I didn't like the ones that screamed Look! Baby on board! but just buying larger sizes in regular apparel looked baggy and disheveled. There were a few brands and stores that I found that seemed to have a cute variety of tops, bottoms and dresses... but the price tags always made me cringe. I'm going to pay how much for something that will be worn for only a limited time? Ugh. So, where does that leave? Is it possible to find cheap maternity clothes that are actually stylish and cute? It is if you look no further than right online at Kiki's Maternity Fashions. With prices well below not only what you'll find in maternity boutiques but also on other websites, Kiki's Maternity Fashions has a wide selection of casual and dressy apparel that is trendy, chic and extremely affordable. Everything from tight to flowing tops, short to floor-length dresses and even hip jeans - with a large majority priced at under $20. Right away I appreciated how easy it is to browse their site, as Kiki's Maternity Fashions has their clothing categorized by apparel type and then sub-categorized by color for even more convenient shopping. As they are continually adding to their inventory, styles stay current and fashionable while also giving you even more options every time you visit. Plus, that also means that there is a Clearance section for items that have been marked down and even an Under $10 category where you can pick up a real bargain! Or, another great collection not to miss is the Transitional line that is designed particularly for when you're either just starting to outgrow your regular clothing at the beginning of your pregnancy or just working to get back into them at the end. What a great idea! After going back and forth through the selection quite a few times, I finally settled on the Cream Long Sleeve Maternity Shirt/Tunic for its stylish simplicity... and because I figured that I could wear it underneath a sweater if it made me appear pregnant when I had it on - not really the look I happen to be going for right now. I love how, for each item that they sell, Kiki's Maternity Fashions gives you three different views (e.g. front, back and close up or from the side) so that you don't have to wonder what your selection will look like from various angles. Also, as this shirt comes in five other colors, I liked how a picture of each one was shown on the bottom of the page so that I easily could see the other choices available. The only thing I wasn't prepared for when this top arrived? Just how much it would impress me! There isn't really a way to describe how amazing this shirt feels, as soft isn't really a strong enough word. I continually ran my hands up and down it as I admired the clean lines and quality craftsmanship that went into each seam or stretchy hem. Putting it on, I almost couldn't believe that this was a maternity shirt. The cotton/polyester/spandex mix seemed to sort of mold itself to me - but not in an unflattering clingy way. I could see how a baby bump would be adorable sticking out the front and the long length is great for keeping the belly covered... but I have actually worn this shirt and received compliments and honestly haven't looked the slightest bit pregnant in it. How is that for versatile apparel? Whether you are looking for maternity clothing to wear for everyday, to the office or for a special occasion or night out, Kiki's Maternity Fashions makes it fast and easy to pick out exactly what you need for all stages of your pregnancy. With their affordable prices and simple return policy, there's nothing to worry about except which of their stylish items to pick! One lucky person will win a $25 gift card to Kiki's Maternity Fashions! To enter to win: Visit Kiki's Maternity Fashions and tell me which of their stylish clothing items is your favorite. 1 Extra Entry if you Like Kiki's Maternity Fashions on Facebook. 3 Extra Entries if you blog about this giveaway linking back to Thanks, Mail Carrier and Kiki's Maternity Fashions. Please leave an address where it can be found. Giveaway will end on February 4th at 11:59pm CST. Do me the favor of leaving an email address or making absolutely sure it is visible in your profile, I have to have a way to contact the winner. The winner will be chosen by random.org and announced here as well as emailed and will have 48 hours to contact me or respond to notification or a new winner will be chosen. This giveaway is open to residents of the U.S. and Canada only. 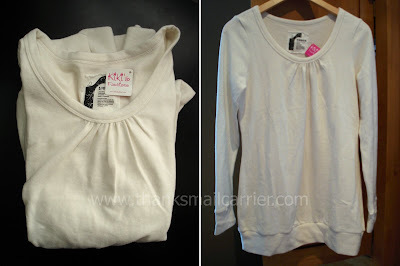 A big thank you to Kiki's Maternity Fashions for providing a Shirt for me to review as well as a $25 gift card for one lucky giveaway winner. The opinions shared are my own and honest if you really need to see more, click here to see how I roll. 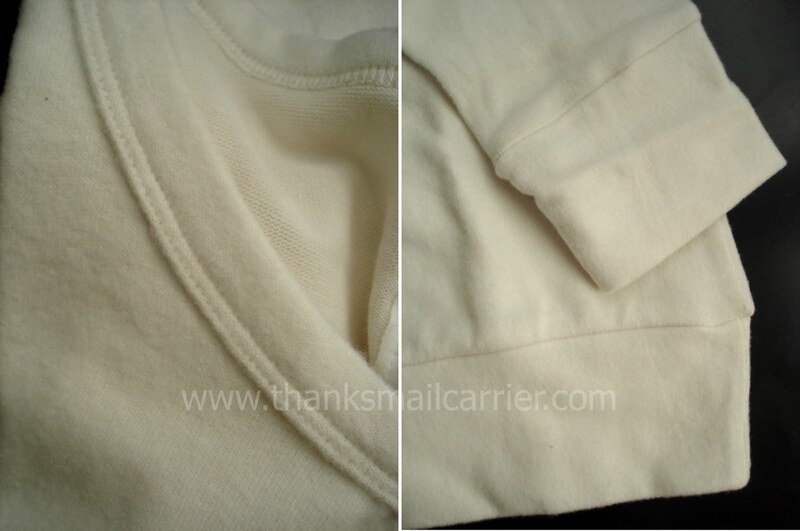 My favorite is the Ivory Long Sleeve Maternity Cardigan W/Pockets. It's so versatile I could switch it up with so many different outfits and possibly wear it after this pregnancy! I love the Red Pleated 3/4 Sleeve Maternity Shirt. Esp that it's red. I love all the cute dresses that KiKi has to offer! I would LOVE to have the Brown/Cream 3/4 sleeve printed dress. It looks perfect for spring with my bump! I like the Red Rhinestone Short Sleeve Maternity Shirt. I like Kiki's Maternity on Facebook. I follow you publicly with GFC. Black Printed 3/4 Sleeve Ruffle Maternity Dress is sooo cute!! I'd also love the Red Pleated 3/4 Sleeve Maternity Shirt!! I like the red sequin sleeveless maternity dress! The pink short sleeve maternity dress is my favorite. i love the Brown Cream Printed 3/4 Sleeve Maternity Dress! I like the Gray Fitted Long Sleeve Maternity Sweater. Like Kiki on FB (Elly V). Entered the $100 Amazon GC giveaway. Entered the Inspired by Finn teething necklace giveaway. I like the Navy/white short sleeve dress! I would get a lot of use out of the Jade Long Sleeve Maternity Cardigan W/Pockets. Talk about versatile! I entered the Wrap A Nap giveaway! I subscribe to your rss feed via google reader #1. I subscribe to your rss feed via google reader #2. I subscribe to your emails #1. I subscribe to your emails #2. I am a fan on FB #1. I am a fan on FB #2. I also entered the Joe's Shopping, Amazon card giveaway. I like the Teal Studded Short Sleeve Maternity Shirt. oh my gosh, I SO wish I would have known about this when I was pregnant...soooo cute! Love all of it and it looks so comfy! Totally mesmerized by your blog. You have a massive following and obvious huge interest. Great blog to have found. I remember finding it difficult to buy maternity clothes too, when I was pregnant. That was a long time ago now and I dare say maternity fashion has got better since. entered the $100 Amazon GC joe shopping.com g/a. entered the N.A. Bear Co. g/a. entered the wrap a nap g/a. entered the kinderglo nightlight g/a. entered the Letter learning g/a. I love the Black Grey Fitted Short Sleeve Maternity Shirt. I love that it is such a bold print, b.c. being preggers you can usually only find solids, no loud shirts aloud! I entered to win the Britax Frontier 85 Harness-2-Booster Seat too! I entered to win the $100 Amazon gift card from JoeShopping too!